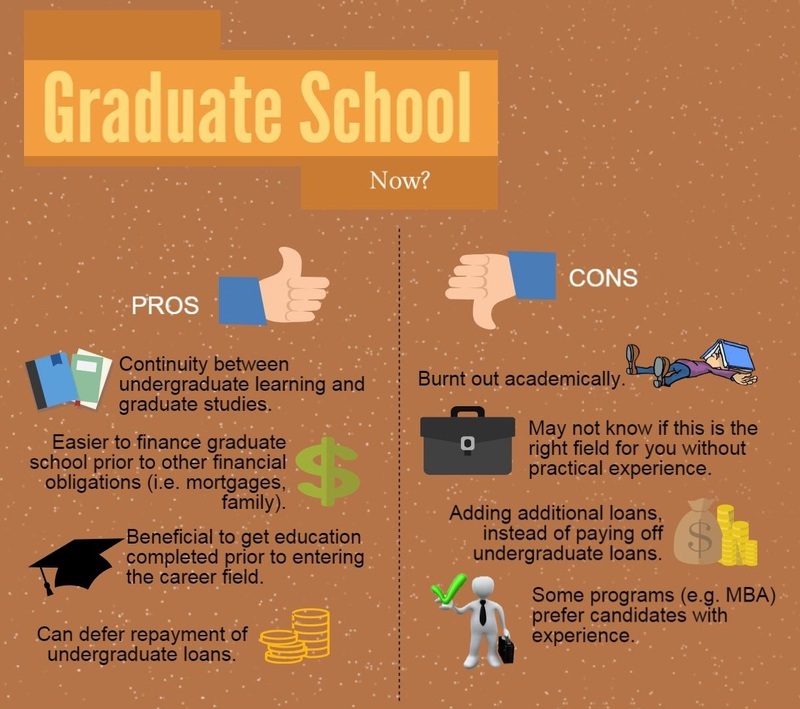 The decision to attend graduate school is a big one. There are many factors to consider and you should feel confident about your choice. It is important that you do some soul searching and research before you jump in. This section will help lay the ground work for some of that self-exploration. Is it for personal or professional reasons? Will the specific area of study help me get the job I want? Look up your intended career at www.onetonline.org. Do most people in the field have a graduate degree? Will a Master's degree be enough or will you need a Doctorate? Do I need to attend right away? Search for current openings in your field and review position descriptions. Do most require a graduate degree or is more emphasis placed on experience? If the thought of writing another paper makes you want to scream, you may need a break before continuing your education. Choosing a program that's right for you is much easier when you know what you are looking for. How will I finance it?